This is the fourth post on the Baking For Business Series. In this post we'll share various flavorings, additives, improvers and preservatives used for commercial baking in Kenya. If your small bakery business menu will consist of cupcakes and cakes, you will need essences in your bakery pantry. Examples of these, depending on your recipes are; Vanilla Essence (available in liquid and powder form), Almond Essence, Orange essence, Orange oil, Lemon essence, Chocolate essence, Peppermint essence, Strawberry Essence, Coconut essence, Pineapple Essence, among many other flavorings. These are used to flavor or bring the best flavor of cakes. 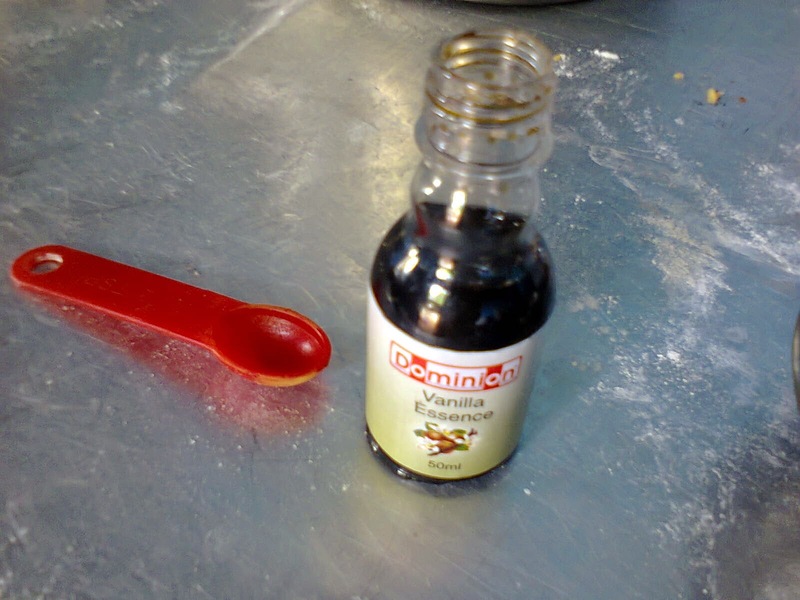 These flavorings are available mostly in liquid form, and in bottles of 50 ml, 250 ml, 500 ml and 1 liter sizes. They range from Kshs. 100 to 200 for the 50 ml bottles; Kshs. 260 to 300 for 500 ml bottles and Kshs. 400 to 500 for the 1 liter bottles. You can also get vanilla in powder form; 1 Kg goes for about Kshs. 1,200 in a store such as Pradip Enterprises in the Nairobi CBD. Bread improver is a food additive that is combined with wheat flour to improve bread and scone doughs in order to get a better end result for your baked products. Bread improver is used to improve strength and malleability of dough as well as speed up the proofing/rising process. If your bakery will focus on making of commercial products for wholesale distribution such as breads, buns or scones; you will require bread improver. Small bakeries that bake fresh bread daily don't have to use the improver, if they don't mind the longer process of bread making that gives a deeper taste and texture. However, as a small bakery owner, you can choose to do so if you are concerned about improving the texture of your bread products and production speed. There are different types of improvers with various functions depending on the bakery's particular needs. There are bleaching agents; added to flour to make it appear whiter and also help with the developing of gluten. There are reducing agents; they help to break protein networks and therefore weaken the flour. These agents assist in reducing mixing and proofing time. Another category are oxidation agents; they assist with gluten development which creates a stronger dough. 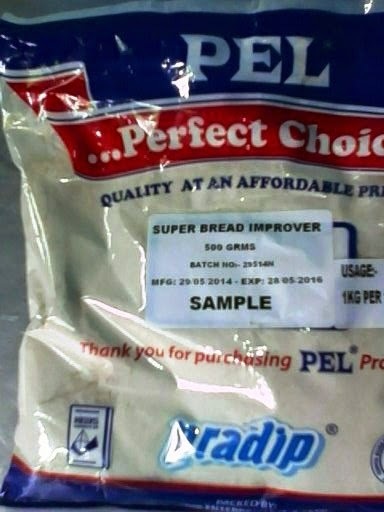 You can purchase bread improver for your bakery at an ingredients shop such as Pradip enterprises. It is sold in 250 gms at Kshs. 125, 500 gms at Kshs. 200 or 1 Kg at Kshs. 350; it is also available in a 25 Kg bag. Make sure you inquire on the ratios used for your bread dough from the distributor. If you will be offering birthday cakes and cupcakes in your small bakery menu, you will require food colors. They are used for various purposes; for adding certain colors to your frosting, for baking cake recipes that call for food color in the batter e.g. Rainbow Cake, Pink Marble or Red Velvet Cake. Some bakeries also choose to add an egg yellow color in their buns or scones. There are different food colors you can purchase based on brand and quality. The most popular and easily available options are powder color usually found in 10 gms, 50 gms, 250gms, 500gms and 1 Kg packages. The smaller 10 gms & 50 gms are available in major supermarkets and range from Kshs. 25 & Kshs. 80 to 100 respectively. 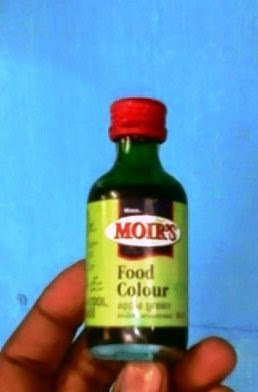 Shops such as Topserve Ltd also stock these food colors in the smaller sizes. For the larger sizes, look for shops such as Pradip. Prices range from 250 gms at Kshs.300, 500 gms at Kshs. 600 and 1 Kg at Kshs. 1160. You can also find liquid colors, they are usually highly concentrated and of a better quality. The smaller sizes, such as the one pictured above; range from Kshs. 120 to 200 for the 50 ml bottles and are easily found in supermarkets or shops such as Asami Ltd in the Nairobi CBD. For larger sizes, shops such as Pradip stock them. For a rare color such as black, you can find it in gel paste form sold in Topserve Ltd, it ranges from Kshs. 400 to 450. Another form of liquid color that also has a flavor you can use are liquid emulsions. These are found in shops such as Pradip and range from Kshs. 230-800 for 500 ml, Kshs. 450 to 750 for 1 liter depending on flavors, e.g. Caramel, Black Currant, Chocolate Dark among other flavors. These flavors are strong and therefore more expensive, they can also be used as flavorings or flavor substitutions. If you're starting a bakery with cakes, cupcakes and sponges in your menu, you'll need to stock some fillings and garnishes. Examples are cherries; used for garnishing and for Black Forrest cakes. They can be found in stores such as Walibhai Karim or Pradip; supermarkets such as Nakumatt also stock them sometimes. They range from 180 gms at Kshs. 225, 250 gms at Kshs. 250 and wholesale 1 Kg at Kshs. 800. Other garnishes you might require are coconut shavings or desiccated coconut which is usually found in major supermakets in 50 gms for about Kshs. 55 or 200gms for about Kshs. 170. You can also find it in shops such as Walibhai Karim. Other garnishes you can find in cake shops and supermarkets are sugar sprinkles and chocolate sprinles (sometimes labeled as 'Decocceli'). Cake Fruit for baking Fruit Cakes, is also found in supermarkets and cake ingredients shops. You can also find fillings such as blueberry fillings in cake shops such as Topserve Ltd. Most small bakeries prefer not to use preservatives in their products (we're one of those bakeries) and prefer to bake fresh daily. However, if you're starting a bakery that is going to be baking and distributing baked products to other retail outlets such as local shops etc; you might need to use preservatives in your baked products, if you want to increase the shelf life of the products. You need to get the required preservatives for your products and make sure you find out the approved quantities from the distributor of the preservatives as well as KEBS (Kenya Bureau of Standards). A commonly used preservative for bread products is calcium propionate; it's a mould inhibitor and therefore very useful for commercial wholesale bread and scone bakeries looking to extend their products' shelf life. Ingredients stores such as Pradip stock the preservative in packages of 1 Kg and even 25 Kg. Price ranges from Kshs. 350 and 6,875 respectively. Ascorbic acid is another agent that can be used as a preservative for cakes and other cake and pastry products. It's said to be a more natural preservative since it's a form of Vitamin C. However, there is industrial ascorbic acid that is man-made; it is used to preserve and not for nutritional purposes. It comes in 1 Kg and 25 Kg packages as well in shops such as Pradip Enterprises; price ranges are Kshs. 800 and 20,000 respectively. The above are the most commonly used flavorings, additives and preservatives used in commercial baking in Kenya. However there are many more out there and if you have suggestions or inquiries, please feel free to comment below. If you would like to start a small bakery business in Kenya, we offer baking classes - in order for you to learn how to make delicious goodies the right way. Click here to find out which courses. We also offer monthly bakery business workshops to help small bakery owners gain the business skills needed to run a small baking business. You can also purchase our book: "How to Startup a Small Bakery Business Successfully." The printed version is Kshs. 500 and the E-book is Kshs. 250. Click on this link to find out where and how to get it. hi, I love your article and find your site as a goldmine of wealth. Do you know where i can purchase sorbic acid or potassium/sodium sorbates? Hi Njeri thanks so much for reading! You can purchase the mentioned in Pradip enterprises that's on Keekorok road in the Nairobi CBD. Near 'Roast House' opposite the stage for Lower Kabete & Village Market matatus. The road that enters; take the 2nd lane and walk down for about a minute, on your left. hi, do you know where i can purchase oil based food coloring for coloring chocolate?? Hello, I'm so sorry I've never needed to look for oil based particularly so I've no idea where to get it. However, I would start with Walibhai Karim on Biashara Street in Nairobi CBD and you can inquire from them to see if they have it. All the best and please share if you do find it please. thanks. please advise where i can get acetic acid, emulcifier and gms smoothex improver for bread making. Hello, please check Pradip on Keekorok Rd in the Nairobi CBD for those items please. Hope you're successful, thanks for reading. Kindly let me know whether you have found a person who can supply sodium propionate locally. Hi, need advise on the best type of flavors and food colors for yoghurt and where I can get them and their cost per item. Wonderful site!very informative.Thxs keep it up! Welcome and thanks for reading! Make sure to subscribe via email to our new home on Wordpress where the posts continue at: www.amaribakery.com. Hi. Do you stock yoghurt ingredients - colours, senses, flavours ,cultures etc. Pls what quantity of sorbic acid will be added to 1kg of cake as preservatives, thanks. Hello, please get the recommended quanities to use from your vendor or provider of the preservatives you purchase from. They are best placed to advice on that.